our ear canal produces earwax which helps to lubricate the ear canal and prevent excessive dryness. Earwax also helps to protect your sensitive eardrum by trapping dirt and foreign substances. Earwax buildup and body oils are some of the main causes for hearing aid repairs. Earwax clogs up the sound outlet and/or the ventilation opening, resulting in weak, distorted sound or absence of sound. Moisture given off by your body will also negatively affect your hearing aids over the lifespan of the devices. The goal is to minimize moisture and earwax buildup on a consistent basis when caring for and maintaining your hearing devices. When you are fit with your new hearing aids, we will provide you specific instructions for cleaning and maintaining your new devices. It is important that you follow our hearing aid care and maintenance instructions so that moisture and wax buildup are minimized therefore helping ensure the longevity or your new hearing aids. We will also instruct you on any precautions you should take when handling and cleaning your hearing aids. Additionally, during your scheduled visits, we will thoroughly clean, service, and replace appropriate parts on your hearing aids. If at any time you are not comfortable when cleaning your own hearing aids, stop by and we will be happy to do it for you. This video provides tips on caring for, cleaning and maintaining your hearing aids. 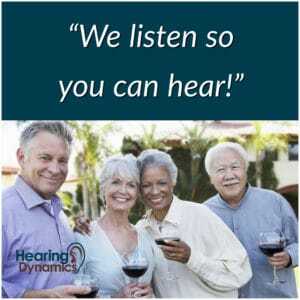 If you have any questions concerning the cleaning, care and maintenance of your hearing aids please call Hearing Dynamics at (520) 378-1212 or make an appointment. This video was created by the University of Minnesota – Twin Cities chapter of Student Academy of Audiology with the intent to be used for educational purposes. Looking for Hearing Aids Sierra Vista? Beth and the Hearing Dynamics team are fantastic. They also offer risk free trial hearing aids for anyone interested in the Sierra Vista – which no one else does in the area.